The most common issue of alphanumeric passwords is users normally create weak passwords for the reason that strong passwords are difficult to recognise and memorise. Graphical password authentication system is one of the approaches to address the issues of alphanumeric passwords memorability. Wiedenbeck et al. propose PassPoints in which a password is a sequence of any 5 to 8 user-selected click points on a system-assigned image. Nevertheless, PassPoints still faces the problem of predictable click points and shoulder surfing attack. 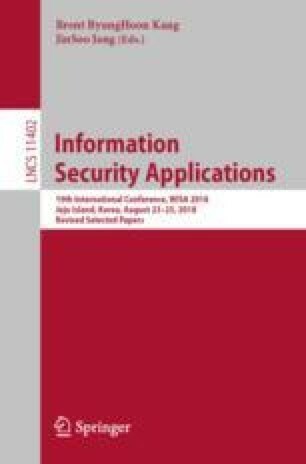 In this paper, we propose an alternative graphical password system on smartphones called HapticPoints. By adding haptic feedback to PassPoints as additional decoy click points, the aforementioned problems can be prevented without needing users to do any additional memory task. We also conduct a user study to evaluate and compare the usability of HapticPoints and PassPoints.